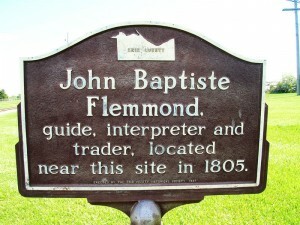 The Erie County Historical Society donated the old-style historical marker to the people of Huron in memory of John Baptiste Flemmond, a French Canadian guide, who visited this area in 1790 and established a trading post here in 1805. He traded with Indians, itinerant hunters and trappers and was a representative of the Hudson Bay Trading Post. The original trading post was located on River Road near the intersection of Jefferies Road. 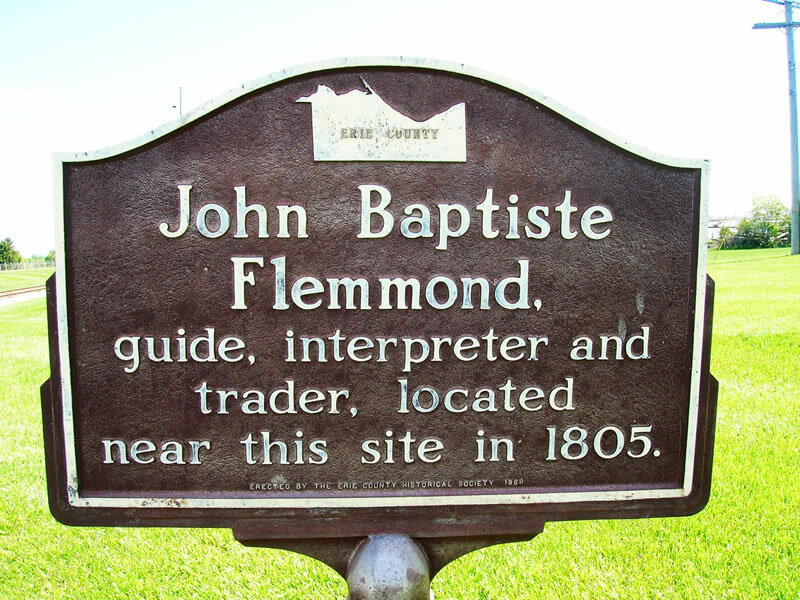 It is believed that he is buried in an unmarked grave in the old Main Street Cemetery.